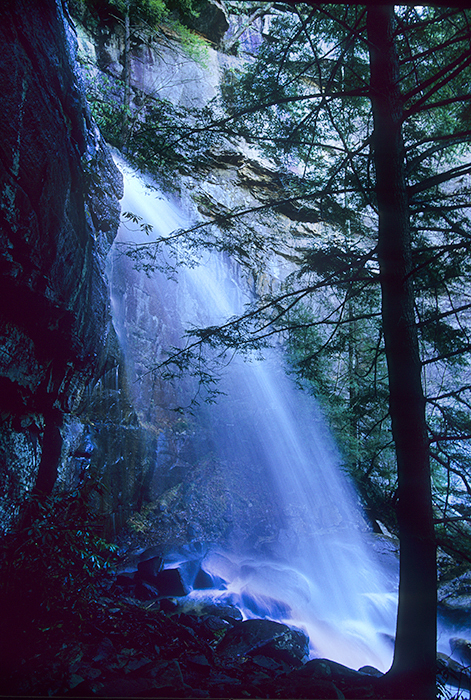 This image of Bad Branch Falls was captured in late spring, as the waterfall was roaring. This portion of the Bad Branch river is designated as a Kentucky "wild river. " The water spray caused by the falls limited how close I could approach. After finding a pleasing composition, it took some time to position my tripod. The result is what you see here. The day I was there was very peaceful and quiet (except for the roar, of course). I didn't encounter a single soul during the hike. Photo © copyright by Jeremy Brasher.